The promise of a new covenant found within the Old Covenant indicated that something was wrong! Jeremiah, the prophet, addressed this issue and gave the people comfort when he foretold them of a New Covenant. Jeremiah had reminded his listeners of the terms of the Old Covenant in Jeremiah 7:23. Then in Jeremiah 24-26 the problem is explained: evil hearts and stiff necks. God found fault not with the Old Covenant, but with the people. In Jeremiah 11:1-8 in the year 622 BC Jeremiah tried to call the people back to their covenant. Jeremiah then watched in 621 BC as Josiah tried to force the people in a revival back to the covenant. Josiah knew God. Jeremiah knew God. But, the people did not. A relationship with God and an obedient heart cannot be forced! So, now Jeremiah 31:31, in the year 587 BC, after thirty-five years of watching the Old Covenant fail, Jeremiah is promised a New Covenant by the Lord. This was a matter of personal experience. In Judges 2:10 the generation that came into the land produced a generation that did not know the Lord. In Hosea 4:1, 6 there was no knowledge of God in the land and disaster was coming. This promise includes every member of the society knowing God. This puts God on a one to one relationship with everyone. No one will be hearing about God second handed. “Remember” in Hebrew means more than to mentally recall something. It means to follow that recall with action either good or bad. God remembers sins and punishes them or He remembers good deeds and rewards them. Even in Exodus 34:6-10 God is merciful and forgiving. There is positional sanctification. But, temporal sanctification is also needed. Ka’as (Hb) - provoke (Eng) - The Hebrew word ka’as means “to provoke” and “to make angry”. Ka’as refers to intense anger and the use of ka’as implies there will be consequences. Deuteronomy 4:25 - "...by doing what is evil in the sight of the Lord your God, so as to provoke him to anger..."
2 Kings 23:19 - "Josiah removed all the shrines also of the high places that were in the cities of Samaria, which kings of Israel had made, provoking the Lord to anger." I will not neglect the great advantages and the great salvation I have in the New Covenant. I will experience the relationship I have with the Lord. I will walk in righteousness and serve the Lord with power. 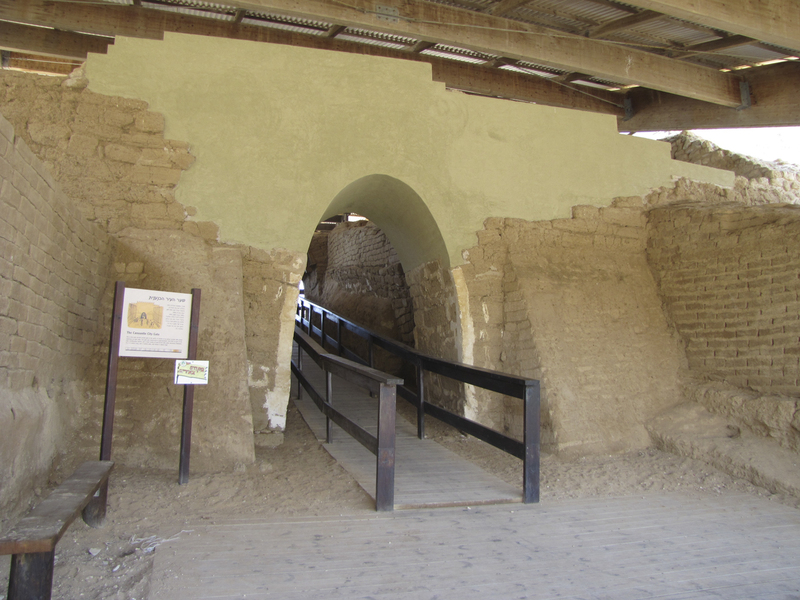 The gate of the Old Testament city of Ashkelon. 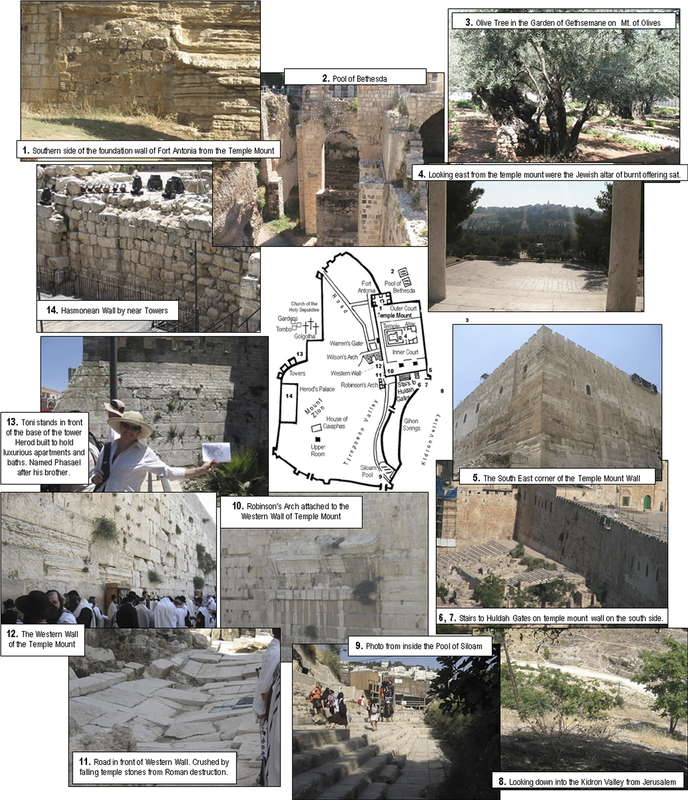 Photos of biblical sites still visible around Jerusalem. • Asserted the primacy of the Roman bishop against the claims of the political capital, Constantinople. • His Christological (nature of Christ) teaching was adopted by the Church at council of Chalcedon in 451. • He clarified the doctrine of the primacy of the bishop of Rome, i.e., that the Roman bishop held the same position as Peter, which was one of authority over all the other bishops. This established the basis for the papacy. • Dealing with doctrinal conflicts and barbaric invasions, Leo proved to be a great leader in difficult times. "He who puts up security for another will surely suffer, but whoever refuses to strike hands in pledge is safe." You who are the hope of Israel, its Savior in times of distress, why are you like a stranger in the land, like a traveler who stays only a night? Why are you like a man taken by surprise, like a warrior powerless to save? You are among us, Lord, and we bear your name; do not forsake us! 14 Then the Lord said to me, “The prophets are prophesying lies in my name. I have not sent them or appointed them or spoken to them. They are prophesying to you false visions, divinations, idolatries and the delusions of their own minds. 15 Therefore this is what the Lord says about the prophets who are prophesying in my name: I did not send them, yet they are saying, ‘No sword or famine will touch this land.’ Those same prophets will perish by sword and famine. 16 And the people they are prophesying to will be thrown out into the streets of Jerusalem because of the famine and sword. There will be no one to bury them, their wives, their sons and their daughters. I will pour out on them the calamity they deserve. “‘Let my eyes overflow with tears night and day without ceasing; for the Virgin Daughter, my people, has suffered a grievous wound, a crushing blow. We acknowledge our wickedness, Lord, and the guilt of our ancestors; we have indeed sinned against you. “Who will have pity on you, Jerusalem? Who will mourn for you? Who will stop to ask how you are? You have rejected me,” declares the Lord. “You keep on backsliding. So I will reach out and destroy you; I am tired of holding back. The mother of seven will grow faint and breathe her last. Her sun will set while it is still day; she will be disgraced and humiliated. I will put the survivors to the sword before their enemies,” declares the Lord. “Surely I will deliver you for a good purpose; surely I will make your enemies plead with you in times of disaster and times of distress. “Can a man break iron— iron from the north—or bronze? “Your wealth and your treasures I will give as plunder, without charge, because of all your sins throughout your country. Lord, you understand; remember me and care for me. Avenge me on my persecutors. You are long-suffering—do not take me away; think of how I suffer reproach for your sake. I will make you a wall to this people, a fortified wall of bronze; they will fight against you but will not overcome you, for I am with you to rescue and save you,” declares the Lord.